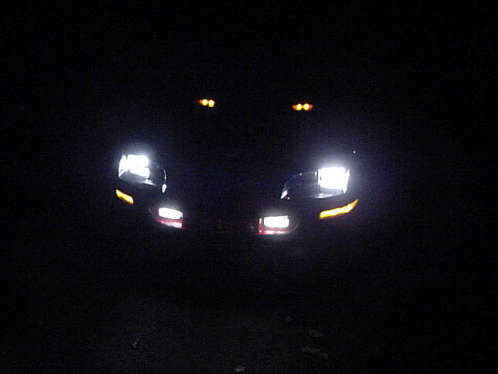 The reason for this modification was that I couldn't find any High intensity sealed beam replacements for my car. 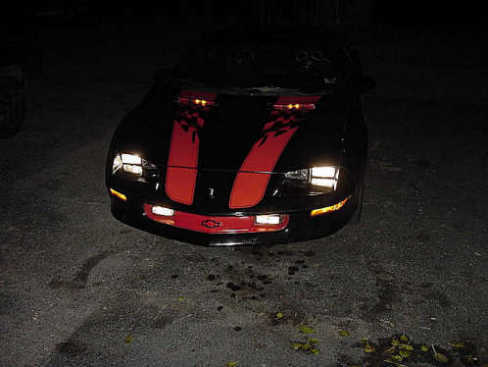 We are stuck with the factory type sealed units which are not that bright as compared to the newer Camaros. That sucked big time. 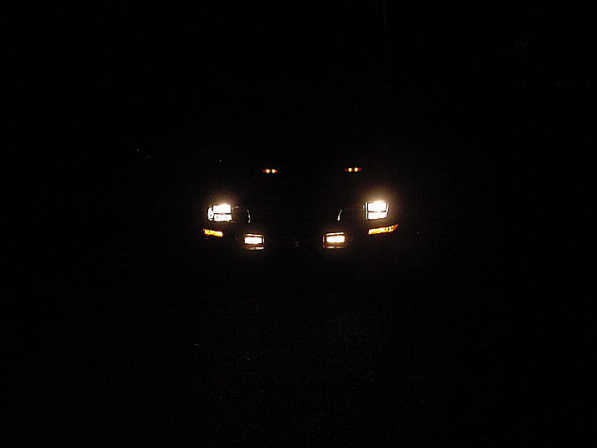 I found an article on how to replace the bulb in the sealed beam head lights, with new super bright bulbs for only the cost of the bulbs and some epoxy. He's a step by step on how you can do this mod yourself. There are no wires to cut or wiring mods needed, the new bulbs use the factory harness. WARNING - You assume all risk and safety for doing the above stated mod. Myself or this website assumes no responsibly what so ever. This is for instruction only! 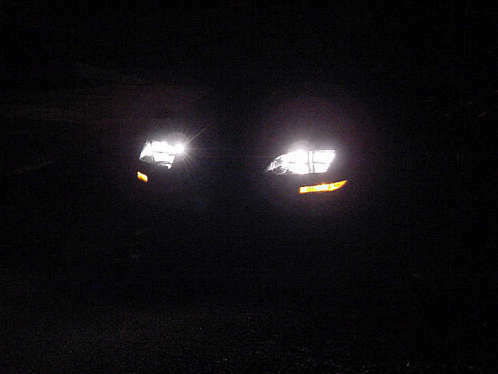 1 - Remove both the low beam lights first, in doing so you will not get them mixed up with the high beams. 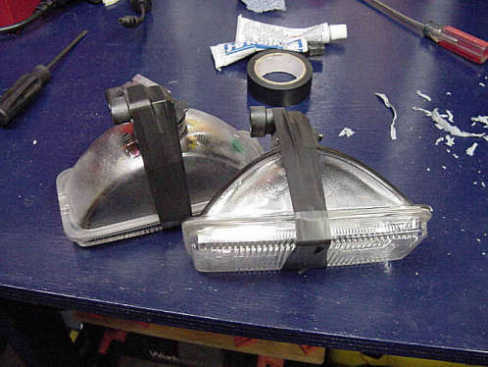 You will need a Torx bit to remove only 2 screws that hold each head lamps in place. 2 - Put the lamps onto your work bench or whatever you have. 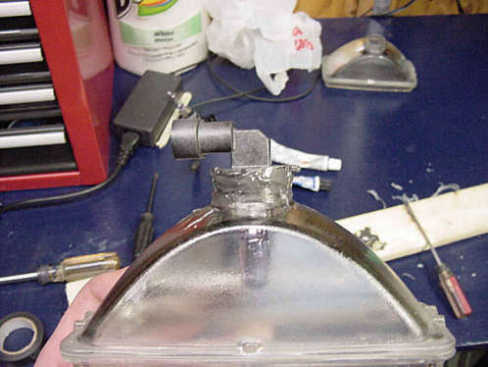 You will be removing the plastic part that has the bulb glued onto the glass housing. See picture 1. 3 - Some guys or girls ( gotta include them too !) say that they use a screw driver to pop this off. Well I tried this and was afraid I'd break the glass. Since the bulb is glued on, I decided to use a blow torch to help melt and soften the glue. It only took about 30-40 seconds of heating the plastic all around to soften the glue. Now you can take your screw driver to pop the bulb the out. See picture 2. 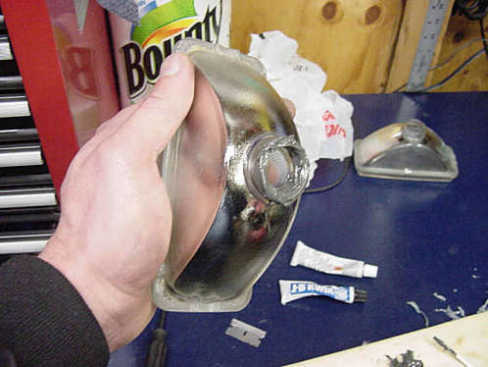 4 - Once you have the bulb separated from the glass unit you will see that the old glue is blue in color. Use a razor blade to clean off the glue from the housing. See Pictures 3 and 4. 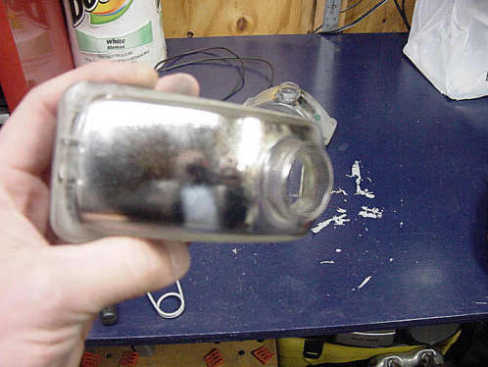 5 - Next you can use steel wool or sand paper to remove the remaining glue off the glass. I choose to use my handy dandy Dremel tool with a wire wheel. Man I love this tool !!! See Pictures 5 and 6. 6 - Use a rag to clean things up. Using RTV sealant or JB-Weld smear it around the inside opening, the top and on the outside of the opening. See Picture 7. If you do touch it, clean it with alcohol and tissue. OK, now that we got that out of the way, we will continue. Carefully insert the bulb into the sealed beam. 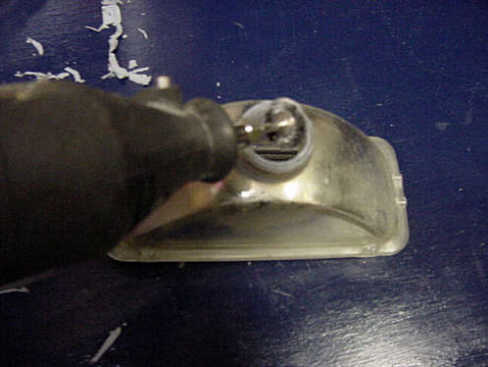 Once fully inserted, smear the RTV sealant or JB-Weld whatever you used around the plastic and glass to form a seal. See Picture 8. 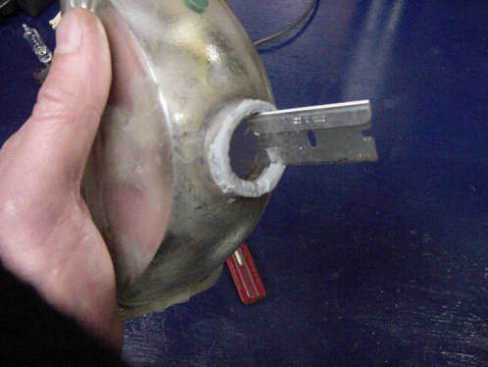 8 - I used some electrical tape to hold the bulb down so it would not pop off from the heated air inside the sealed beam. 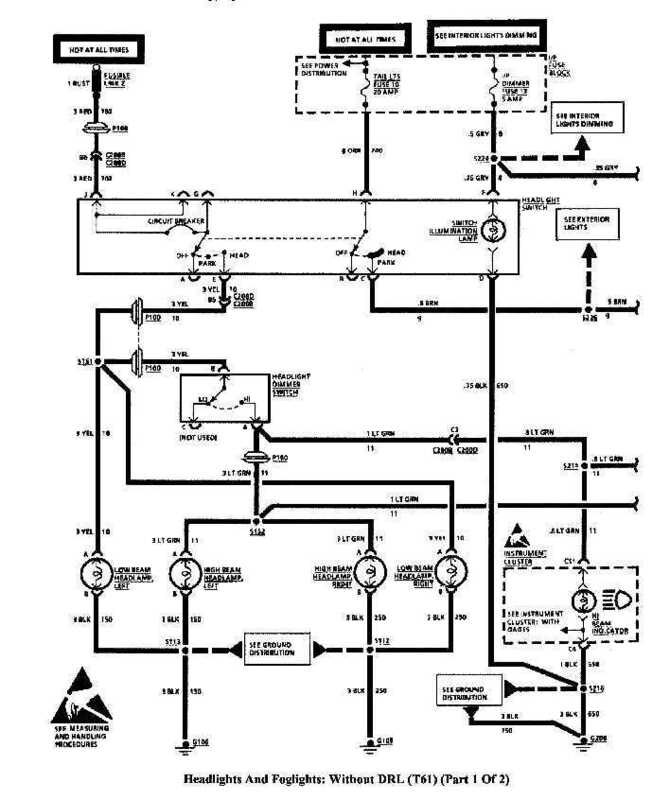 See Picture 9. 9 - After about a 1/2 hour I replaced the head light back into the car with the tape still in place. The next day, I just cut the tape off with a razor blade.